One of our first days in Oklahoma (thinking we would only be there a week) we wanted to fit in the MUST SEE places. 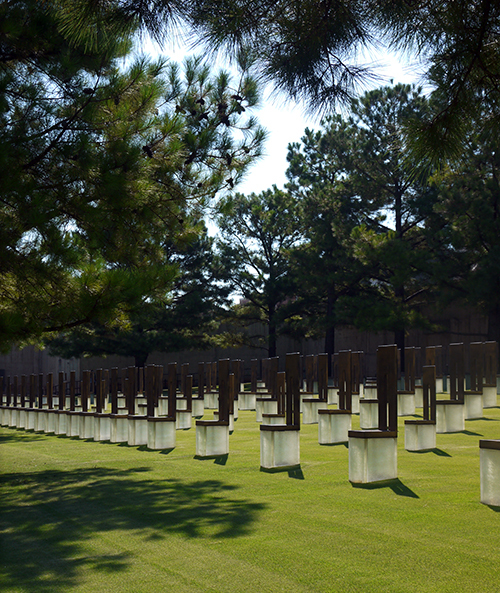 The top of our list was the Oklahoma City National Memorial & Museum. 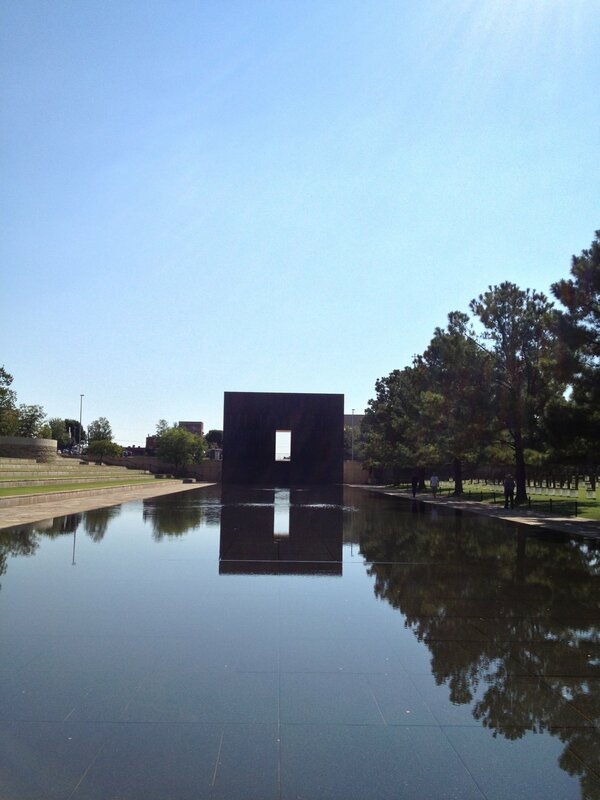 We actually visited this Memorial four times over the five weeks we ended staying in Oklahoma City. These photos are from our first visit, but we also stopped by it twice at night to see it illuminated, and to show our family the site when they flew out to visit. The memorial is just simply stunning with an incredible attention to detail - from the reflecting pool, to the glass chairs for each victim, to the peacefulness you feel when you visit - it is one of the most well done memorials we have ever visited. While this memorial is not officially considered a National Park Unit, it is still affiliated with the NPS and is staffed with Park Rangers who are happy to answer questions about the site. Be sure to check out the museum as it is very well curated and well worth the entrance fee.